We have served in Taiwan for 20 years. Mike regularly preaches and teaches at Chinese churches, especially New Life Assembly of God in Taichung. He teaches at the Assemblies of God School of Theology, participates in Book of Hope outreaches in local public schools, and works with the Chinese Fire Bible distribution group. Diane teaches Advanced Placement English, British Literature and a Bible class (“Women of Worth”) at Morrison Academy High School in Taichung, Taiwan. Morrison is an international Christian school that has about 40% missionary kids and children of foreign businessmen and 60% Taiwanese children. 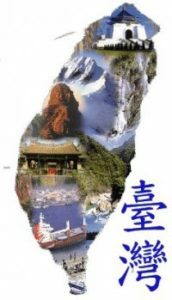 Most of theTaiwanese students come from non-Christian families, so there are many opportunities to influence them for Christ. Diane also participates in outreach ministries with the local Chinese church. Pray for the people of Taiwan.